Hi. As you can see, I am waaaaaaaay behind with getting around to this. A HUGE THANK YOU for those who nominated me for either a Sunshine Award or a Sisterhood of the World Blogging Award. You are all awesome and amazing!!! Shall we get to your questions then? 1. When you need to brighten the mood, what's your go-to song? You know, I actually don't know the answer to this question. Some days I skip songs until I find one I like, sometimes I'm the mood for classical music, other days I just want to listen to K-pop. I don't have one song I generally go to. I do tend to kill a song by listening to it on repeat, over and over and over again though. Park Hyo Shin's Wildflower is one of those songs I have listened to for days on endless repeat. And I do mean days. I'm also really lucky that Koreans seem to love this song as well, as it plays fairly frequently over the radio in South Korea (which means you hear it on the streets/when out shopping a lot). Sometimes you just need a dance party though and then something like Block B's NalinA or TEEN TOP's Miss Right is sure to get my feet tapping. I should stop now though because I could go on ALL day with songs I love. Music is just great and I love it! I will say that I do really love sad ballads, and Korean ballads are pretty awesome when it comes to being sad. 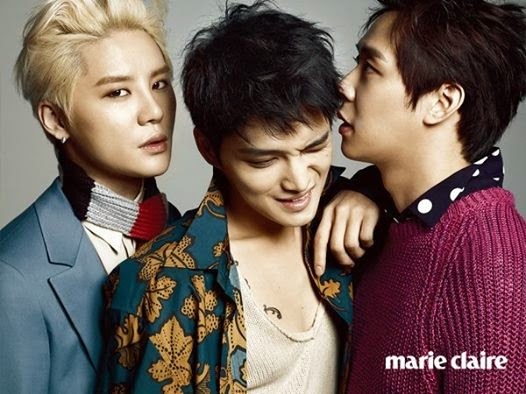 DBSK's Why Would I Fall in Love with You? is a good example. 2. Sunrise, sunset, or neither? I LOVE sunsets, and the sky in general. I also take copious amounts of photos of clouds. If I am awake, I do love the sunrise too though. I am a night owl, so I am more likely to miss the sunrise sadly. 3. 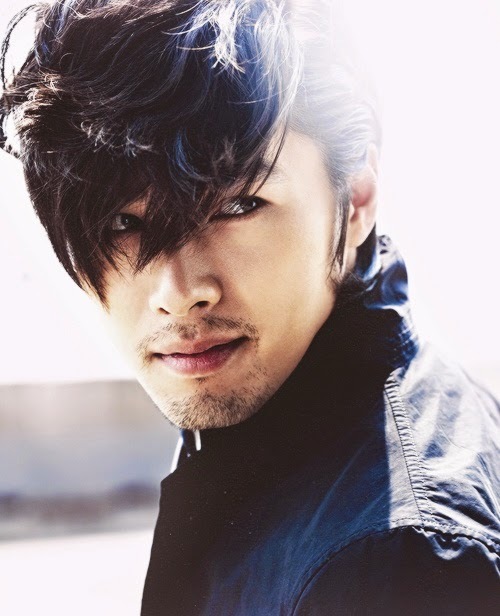 If you could meet any Korean actor/actress and spend the day with them, who would it be and what would you do? 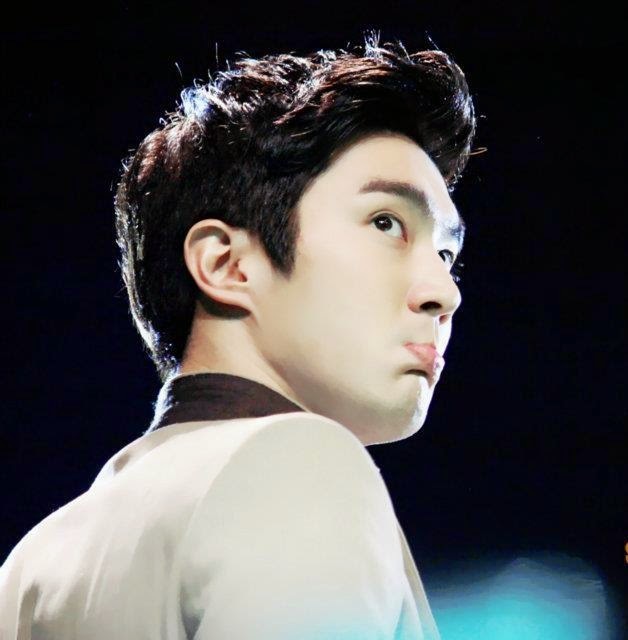 Seeing as I dream about Super Junior's Siwon the most, I guess him? In my dreams we're normally BFFs and just have fun hanging out listening to music and talking. Sometimes we're dating. Haha. To be a little more serious I guess, maybe someone like Kim Hee Sun who seems so down to earth. I feel like I could chat with her and feel really comfortable. It is also my dream to hang out or at least meet the Running Man cast. I love them so much! 1. Which scene in a drama would you like to re-enact? I think that kiss scene on the hospital steps with Seo In Guk in Reply to Me 1997. That or the one with Paksa in Cruel City. 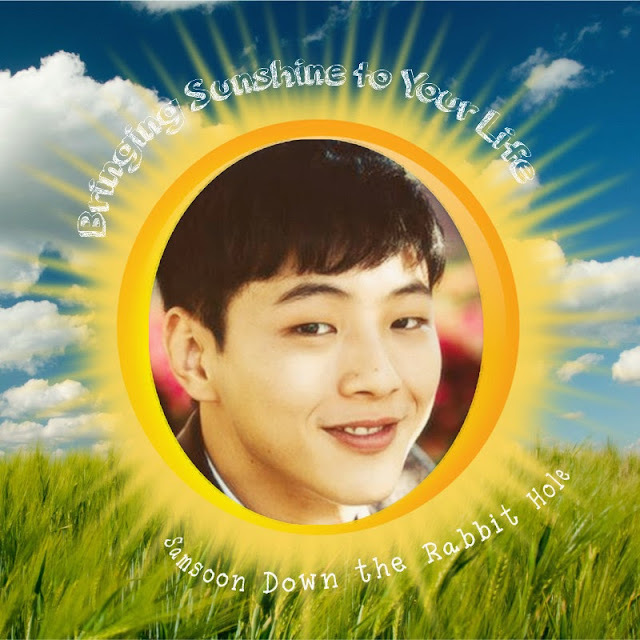 Oh dear, or what about that one with Park Seo Joon at the beginning of A Witch's Romance. Okay, I'll stop. Basically, a kiss scene with a beautiful Korean man (and none of the really lame kiss scenes, only the good ones). 2. What is your favourite OST? And your favourite individual OST song? I think that my favourite OST might just be The Princess' Man OST. It never grows old for me and it has some incredibly beautiful songs and instrumentals on it. One of my favourites on that OST is Park Wan Kyu's "Love in a Day", I have listened to that song so many times! I love it! As for just an individual OST number, it might be Kim Byo Kyung's "Suddenly" from City Hunter. Though it's really hard to actually choose just one because there are so many amazing OSTs in Korean dramas. I especially love it when actors or actresses starring in the drama add an OST. 3. If you could hot tub with 3 K-ent people, who would you pick? Does it just have to be three? Haha. I think I would love to hot tub with the cast of Running Man because there would be a lot of jokes and silliness, and Kim Jong Kook of course. 1. Which K-drama couple do you wish could reunite once again? This is actually harder than I thought it would be because there are several pairings in K-drama land that I really just loved. I would love a Kim Boong Do and Choi Hee Jin pairing (Queen In Hyun's Man), I love those those characters, but that will never happen. Another pairing that I just adored together was Han Groo and Yun Woo Jin in Marriage, Not Dating. I just really loved them together. I would also love to see some of the epic bromances revisited because sometimes I love those more than a romantic pairing actually. 2. What is one thing you love and one thing you hate about blogging? I love being able to write and then talk about drama and Korean entertainment with other people. There is something about being able to share something that one loves. One thing that I strongly dislike is how many ideas I have, but no time to write about all of them. Haha. 3. Recommend us some of your favourite books! My all time favourite book is Jane Eyre, so if you haven't read that one, I would suggest that. I read a wide variety of fiction and non-fiction, as well as across genres...but here are a few I've read recently or that are my favourites. The Tiger's Wife, eleanor & park, Burnt Shadows, the Legend trilogy (by Marie Lu), the Hunger Games trilogy, Silas Marner, The Scarlet Pimpernel, North & South, A Thousand Splendid Suns, Still Life with Rice, The Blue Castle, Jacob Have I Loved, the Percy Jackson and the Kane Chronicles series, Anna Karenina, The Purple Hibiscus, Cry, The Beloved Country. I really could go on and on for days with this one. I am a book worm and avid reader. I own hundreds and hundreds of books and re-read them often. 1. Kim Woo Bin without his trademark eyebrows or Kim Woo Bin without his deep voice - which version of him would you choose? Hands down it would be the voice. I have a thing for voices. Kim Woo Bin is one of those actors who needs to record an audio book just so I can listen to him. Choi Jin Hyuk, Ji Soo, and Yeo Jin Goo (among others) are some who should also do the same. 3. Finish this sentence: A K-drama is not a K-drama without...some sort of hairstyle and wardrobe makeover at around the midpoint. Sometimes I love it, other times, not so much. 1. Do you your family, friends, and colleagues know about your blog? Why or why not? Yup, several do, but not everyone. Some people think it's a bit strange, but a lot of people think it's cool. My colleagues right now don't know, but some of my former colleagues knew, but some of them watched K-drama too, so it was easier to talk about. I think that most people even if they know about it don't really realize how vibrant and alive this K-ent community is on the blogosphere. Haha. My youngest sister watches anime and we've watched K-drama together and she also loves K-pop, so she's probably the person in my family who follows it a little more. And I have several RL friends who are K-drama watchers and bloggers. We all used to live in the same city and we would go and get Korean food together and watch drama together. Good times. 3. Since this is a sisterhood type of award, who's your favourite female celeb (actress, singer, comedienne, doesn't matter), and what do you love about her? Hmmm, that is really hard! I might have to say that I really love Judi Dench. She has done so many interesting projects throughout her life and she is just amazing at everything she does. She is just spectacular and superb and every time I see her onscreen, she embodies the character she is portraying so well. She has also done a wide variety of things and seems to know how to bring out excellent performances in her co-stars too. 1. If you were lucky enough to win a lottery, what would you do? Hmmm, I think first, I would pay off all student loan debt etc. that I have and then after that party? JK. I would also love to be able to buy a house for my parents. Where they live, land/property is SUPER expensive, pretty much a huge percentage of the population doesn't own property. I would also love to travel the world. Because I don't have a very travel friendly passport, I also have to pay lots of visa fees as well as plane tickets and hotels etc. So travel is probably the main thing I'd like to do. And then maybe buy a house by the sea with a lovely garden and a room large enough to turn into a super awesome library! 2. I am a fan of Gilmore Girls. Are you? If you are, are you a Lorelai or a Rory? I am also a Gilmore Girls fan. I never really watched it while it was airing, but I watched it all a few years ago. I am probably more a Rory, but as I've gotten older, I like to think in some ways I am becoming more of a Lorelai. She is pretty awesome. 2. Which western actor or actress would you like to see star opposite a Korean actor or actress, and why do you think the pairing would work? This is an interesting question. I feel like I am terrible at keeping up with western entertainment. I think it would be really interesting to have someone like Ruth Wilson paired up with Yoo Ji Tae for some sort of period piece or parallel time travel where they know each other in the past and the future. I think they are both really talented actors and could pull off a serious drama and look elegant and at home in a variety of settings. 3. How has your love for K-drama and/or K-pop changed your life - that is, if either have in fact changed it? Well, I have met all of you and that makes me happy ^^ It has also helped me out immensely in my moving to Korea. That might sound weird, but I think it made the adjustment a lot easier and sure makes Korean a little easier to learn. It has also brought into my life some RL friendships that I would be so much the poorer for if I didn't have them. K-drama and K-pop served as a catalyst for me to get to know a few of my closest RL friends and the thought that I would have never been friends with them makes me really sad. On a blogging side, I've learned stuff about photo editing (see my amateur skills with that little Go Bok Dong sunshine I won't tell you how long that silly thing took) and a little html stuff that I would have never learned (maybe) without it. There are so many things! So...sorry that I cheated and didn't answer everyone's questions, but hopefully you enjoyed my answers. If there was a question that I didn't answer that you are dying to hear the answer to, let me know in the comments and I will answer it then. So for the nominations, I think I did this last time too, if you read this piece, choose one of the questions I answered, and answer it in the comments below. (I am guessing that at least one of the questions listed above, might be one you haven't answered on the blogosphere before). Yup, so you are ALL nominated!!! Muahahahahaha. 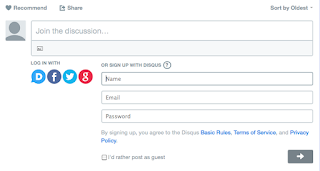 And just a note for those who don't want to make a Disqus account, you can still comment with a name or anonymously. All you need to do is select the "Name" option and add your email address and then select the box that says "I'd rather post as a guest", then you don't need to make an account. It does mean that you are not automatically subscribed to replies or other comments, but if you click the envelop in the bottom left to subscribe, that works too. I look forward to reading your answers. As for a question to answer, I pick: Which K-drama couple do you wish could reunite once again? Without any hesitation whatsoever, Kim Woo Bin & Lee Jong Seok!! I need more of their adorable bromance!! <333 Dramaland, are you listening??? Congrats on all of your awards and I loved your answers :) I'd love to be able to go to Korea and have you has my tour guide any day! 1. Which of the four seasons (spring, summer, autumn, winter) best describes you and why? For me, it's autumn all the way. One, its my favorite season, I love the word, and it really just fits me as you may or may not believe it I'm very reticent and melancholy at times :P So I guess that season really fits more of that part of me. Yay! It would be so fun to play tour guide (though I have hardly been to that many places). We could go exploring together! It would be so fun to go exploring Korea with my blogosphere peeps! 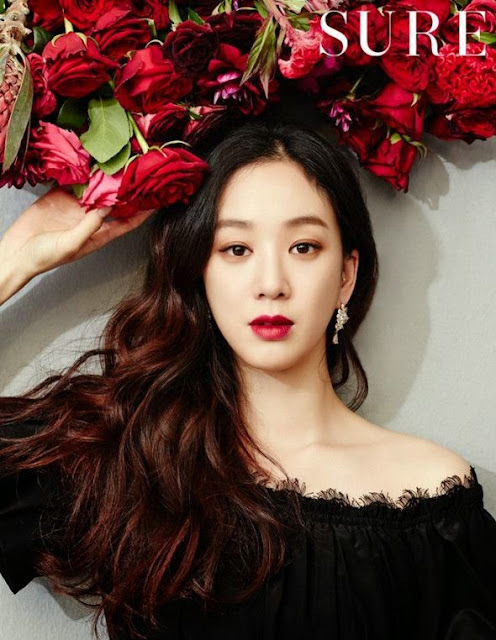 The question I will answer is: Which western actor or actress would you like to see star opposite a Korean actor or actress, and why do you think the pairing would work? This is a hard question but I'll give it a go! I'm taking so long to answer this question, so I'll just randomly pick some people: Emma Stone and Gong Yoo. Odd combo, probably. But as far as I know these two can pull off dramatic and comedy really well so anything can go. I'm thinking of a comedy caper of sorts, or maybe pull off the total opposite and go for pure noir. Or, you know, go for the classic romantic comedy. Ooh ooh if I ever visit Korea (which will be least likely anytime soon), can I give you a call? I think that those two could certainly pull off a fun rom-com caper. I could totally see Emma Stone as a jewel thief and Gong Yoo as the hapless detective who falls for her. Haha.